The above info came from Elwin Blaine Coldiron, and was edited by yours truly (contact me). The image came from the Right Stuf. Mankind is under siege by "nightbreeds" – carnivorous, manipulative demons who often prey upon human weaknesses in order to seek the "light." It is up to Tatsuhiko Shido and his friends to stop these demons before they wreak havok. 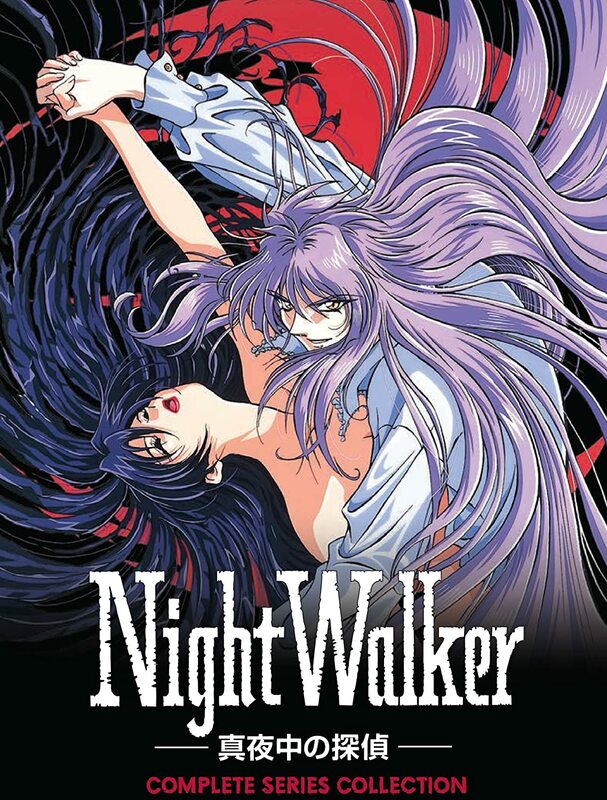 With a story almost reminiscent of the novels of Anne Rice, "Night Walker" is the tale of a vampire with no memory of his past, and his battle to save mankind from hell on Earth – as well as finding the puzzle of his past.